Welcome to Alameda Benevolent and Protective Order of Elks, Lodge No. 1015. We have proudly served Alameda for 112 years. With a membership of over 525, our lodge is dedicated to the betterment of our community through our charitable endeavors. Thanks to our members’ volunteer efforts, we generate funds to help a multitude of local and national programs. We encourage you to learn about us and our efforts in the community. In addition to our dedication to helping our neighbors, we share a love of having fun together through a variety of events at our Lodge. Please learn more and even stop by for a visit. Below, you will find the speech that I delivered on the day I was installed as Exalted Ruler. It will tell you who we are and how we think. We’re always looking for new members. If you are interested in finding out more about the B.P.O.Elks, please give us a call at (510) 522-1015 and ask for our Lodge Secretary at ext. 18 or stop by the Lodge for a personal tour. 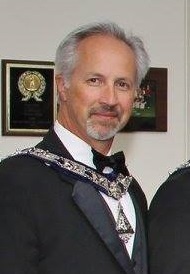 I now have the honor of greeting you as Alameda Lodge’s Exalted Ruler. For the last 7 years I have journeyed through all the Chairs, including Inner Guard twice. This road was made easier by the support of the Members, the mentoring of PERs, the guidance of the Past First Ladies, the counsel of the District Officers, and of course the love and encouragement of my First Lady, Elizabeth. One hundred and 150 years ago the Jolly Corks formed a new fraternal Order. They had lost a member, leaving behind a grieving and destitute family. Being caring people, they decided to do something about it. From this spark of insight, they felt a duty to their community to help those in need. Founded on this no on, and realizing that in order to endure, they needed more than good fellowship — they needed a more noble purpose; to serve their own and others in need – To do. This year we are celebrating the 150th anniversary of the incep on of our Order, reminding the Elks, and the nation, of our history of service and benevolence to the American People. In 1871, three years aft er the BPOE was founded, the Order sprang into action to provide assistance to residents affected by the great fire of Chicago. And again, in 1889, the Elks helped families that suffered in the devastating Johnstown flood in Pennsylvania. One hundred and twelve years ago this Lodge was soon tested. Following the 1906 earthquake in San Francisco, the Order – this Lodge – was the first organization to respond, and within twelve hours the Elks’ relief efforts were in full swing. In Alameda and Oakland, the Elks equipped hospitals, established temporary shelters, one of which was here on Oak Street, for nearly 2,000 displaced people, and provided food and financial support. Elks do. Today, the members of Alameda Lodge con nue their commitment to participate in the support of our community. We have members who create packages for the Coast Guard cu ers on patrol, as well as welcome them home, and who are ready at a moments notice to help the Veterans at Yountville. We have members who quietly volunteer at senior centers, at food banks, at animal shelters, and for a multitude of youth organizations. We have members who plan events that keep the doors open, who maintain the property, who make Alameda Lodge a Lodge. Each month our youth group, the Antlers, prepares and serves dinner to homeless teens. Our members, and our members to be, largely go unsung, yet they persevere. Elks do. This year I plan on creating new opportunities to volunteer. For example, establish a package program for teachers in need of school supplies, create events for the care and maintenance of our wonderful facility, and to form a partnership with Pets for Vets to provide walkers, trainers and fosters of service pets of all kinds. The enduring bond humans share with animals has the power to reduce suffering, mi gate loneliness, improve mental well-being and bridge the gap between ourselves and others. For our returning troops, these benefits are especially important to help ease the transi on back into civilian life. Elks do. All these members go the extra mile doing things for other members, the Lodge, youth, veterans and the community; their only compensation is our respect, thanks and gratitude. To recognize these amazing people, the First Lady and I are creating an award associated with my pin. I have not fully considered what to call it, so let’s call it the ‘Order of Fidelity’ for those who consistently provide extraordinary service. You might have guessed by now that my theme for this year is “Elks Do”. Let us all do what we can to make our Lodge, Elkdom and our community a little better by sharing our grace, talent and skills.